Marathons,triathalons,and has studied Brazilian jujitsu and is an avid boxer. He understands everyone has there individual goals and he is here to assist you in your journey of becoming your best self. Michael Margulies – owner and co-founder of Core – lives and breathes fitness. Michael has over 25 years of experience as a fitness trainer and is passionate about helping others improve their lives. Michael has competed in bodybuilding, powerlifting, marathons, and triathlons, is trained in Brazilian jujitsu, and is an avid boxer. He understands everyone has their individual goals and he is here to assist you in your journey of becoming your best self. Michael and his wife, running-guru Denise Margulies, operate New York City’s premier personal training facility, Core Fitness, where they offer individualized lifestyle and fitness plans and ongoing support to help their clients achieve their personal goals. Core Fitness believes in the importance of a correctly matched trainer and a safe, supportive, and stimulating environment. After matching clients with the trainer best suited for their individual skills, goals, and needs, trainer and client work together to devise a personalized training program that is both uniquely challenging and respectful of the client’s physical capabilities. Michael and the Core team believe that a fitness plan should continuously be evolving; they strive to continually challenge and inspire their clients to take their workout to the next level. With targeted and supportive techniques that train both the body and mind, Michael helps his clients live happier, healthier lives. Michael and the Core training team are proud to be the trainers of choice for a wide variety of clientele; from Hollywood stars, moms getting back into shape, members of the NY police and fire departments, to CEO’s and CFO’s of companies like Microsoft, LinkedIn, and Third Point, everyone is welcome at Core Fitness! No matter your ability level, interest, or fitness goals, Core has something for you! Michael and the team offer individual training sessions, semi-private and group sessions, children’s sports and fitness training, and a new outdoor Core Fitness Cycling Program. Core Fitness also makes working out accessible anywhere, anytime by developing employee workout programs and video programs for the home or office; they even make house calls! 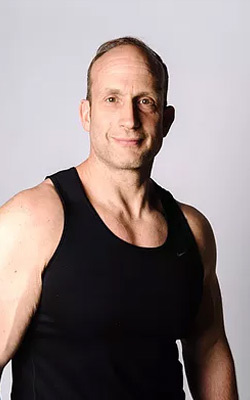 Michael’s fitness expertise and methodology are highly recommended across New York City. Not only is Core Fitness the leading referral among New York physicians, but many of them also train there themselves! Why? Michael works collaboratively with medical providers to help clients work through complex medical problems safely; Core trainers help clients get past surviving and healing to feeling better than they ever thought possible! Michael and his team support each client to achieve astonishing results; from exercise novices who never imagined they would enjoy working out, to experienced athletes who push past previous limitations, Michael and Core Fitness can help you unlock your potential, achieve your goals, and begin a lifetime of wellness – get started today.